If you can't be bothered chatting with Facebook's news and weather bots, maybe a pizza bot can change your mind. Pizza Hut is launching a Facebook and a Twitter chatbot this fall that can take your order and show you current deals. The Facebook bot even comes with something extra: it can connect your FB with your Pizza Hut account, so it can list your past orders. You know, in case somebody asks you to prove that you've never had Hawaiian before. But what if you eat healthy and don't like pizza? 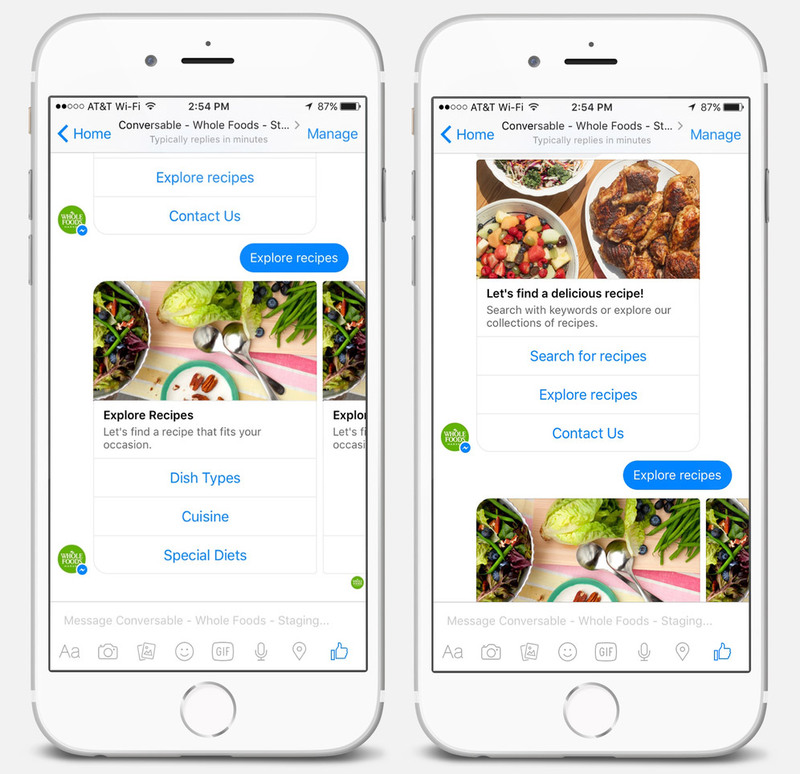 Well then, you'll probably enjoy chatting with Whole Foods' Facebook bot instead. It's not a delivery bot like Pizza Hut's. Instead, it features thousands of curated recipes you can explore using keywords (e.g. vegetarian or gluten-free) and emoji. Since it's not clear when Whole Foods' bot is coming out, you may want to keep an eye out for it. Both chatbots use the Conversable platform and were launched at Venturebeat MobileBeat conference today. Similar to other social media bots, you can access them by striking up a conversation with the companies' official social media accounts through Facebook Messenger or Twitter DM.